DESCRIPTION: The giant anteater (Myrmecophaga tridactyla), known in Brazil as "tamanduá bandeira", is a large insectivorous mammal native to South and Central America. It feeds primarily on termites and ants, using its strong fore claws to dig them up and its long, sticky tongue to collect them. 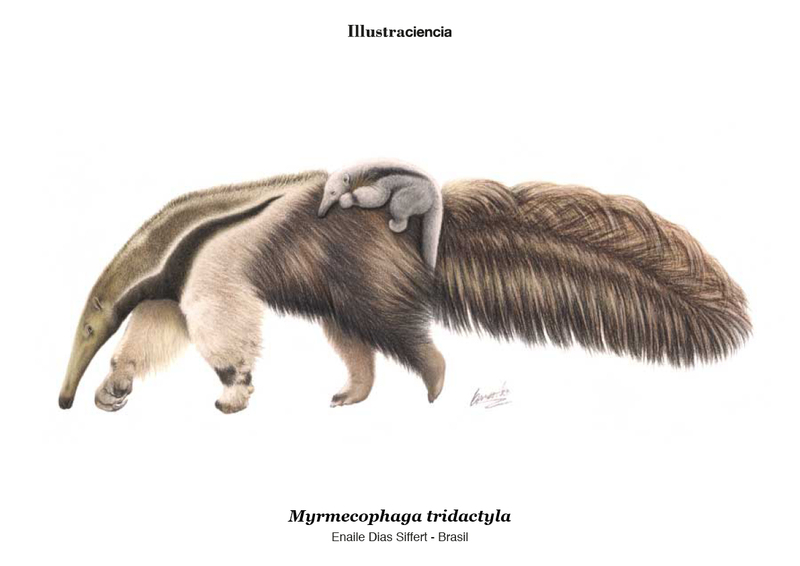 Female anteaters carry their offspring on their backs until weaning them.